The Amazon rainforest, also known as Amazonia or Amazon jungle, is a moist broadleaf forest that covers most of the Amazon Basin of South America. 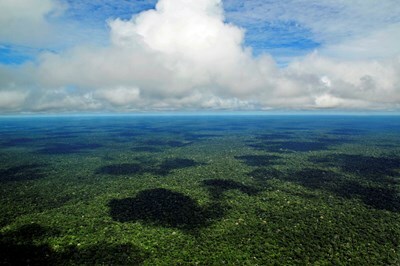 This basin encompasses seven million square kilometers, of which five and a half million square kilometers (1.4 billion acres) are covered by the rainforest. This region includes territory belonging to nine nations. This description uses material from the Wikipedia article on Amazon Rainforest and is licensed under the Creative Commons Attribution-ShareAlike License (view authors).